Optional oven and side benches. 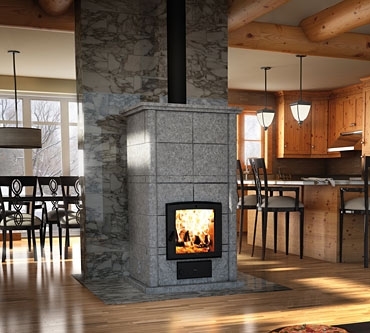 The FM1200 MASS soapstone masonry wood fireplace from Valcourt features modern style and the efficient heating of thermal mass. 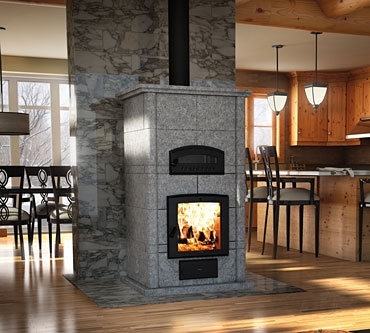 The soapstone surround will retain heat from your wood fire and distribute it evenly throughout your room for several hours after the fire itself has burned out. 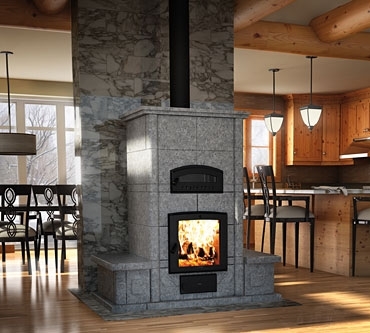 An optional oven, pictured in our Options section, can be added to your FM1200 fireplace to allow you to enjoy the unique flavour of a wood-cooked meal. 15 1/4" x 16 1/8"
Up to 1,300 sq. ft.
Use the form below to request more information on FM1200 MASS, and a Kastle sales rep will get back to you as soon as possible. Fields in red are required.